San Antonio Car Key Pro’s is one of the leading full-service locksmith companies in San Antonio. From our interactions with our customers, we can tell that there is a lot about the locksmith industry that most people are not aware of. 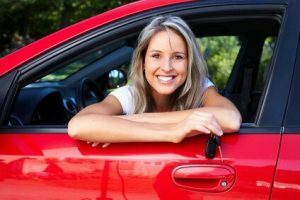 Here’s a look at 5 things you should know before hiring a San Antonio car key locksmith or other locksmith service. #1: In Texas, locksmiths are required to be licensed. Texas is one of the 15 states out of 50 where locksmiths need a license from the state government to be allowed to practice their trade. Here in San Antonio, Texas, not just anyone can work as a locksmith; they must provide you with a proof of their license should you ask for it. The other states where locksmiths need to have a license are: Alabama, Connecticut, California, Illinois, Maryland, New Jersey, Louisiana, Oklahoma, Nebraska, Tennessee, Nevada, North Carolina, Oregon and Virginia. #2: The locksmith industry is regulated only in a few countries. It is only in the United States and a few other countries such as Canada where the locksmith business is so strictly regulated by the government. Here locksmiths have to be licensed, work their way through certification courses and get on the job training and go through a number of background checks before they are allowed to operate. #3: The locksmith industry in San Antonio is growing fast. The locksmith industry in San Antonio is much bigger today than it was only a few years ago. San Antonio is a busy, bustling city with a fast growing population and a particularly large student community. The crime rate here is slightly higher than the national average. So, as you might imagine there is a lot of demand for locksmiths in San Antonio. In fact the locksmith industry is head for a 12% growth across the United States and there will be 24,800 licensed locksmiths in the country by 2018. #4: You cannot trust every San Antonio locksmith company. Not all San Antonio locksmiths are legit; there are far too many locksmith scams out there. That’s why you should stick to only reputable locksmiths and not hire just about anyone. There are many San Antonio locksmith companies that train their technicians to drill and replace the locks instead of trying less expensive and less damaging options such as lock picking. A good locksmith is capable of picking any lock and will try out every option possible before drilling the door and replacing the locks in a lockout situation. #5: There is no standard price for every locksmith service in San Antonio. There is no set price that all San Antonio locksmiths adhere to. In fact, this is the case with locksmiths across the country. Every locksmith is in a rush to outdo the other at offering special rates or discount offers. However, you should always hire an San Antonio locksmith service you can trust, and not just call a particular locksmith because they offer the lowest rates in the city. San Antonio Car Key Pro’s provides a range of services such as a residential, commercial, automotive and 24 hour emergency locksmith service, as well as car key cutting, transponder key programming and home security consultation services in San Antonio. Call us at 210-960-8984 to know more. What You Need To Know About San Antonio Car Key Locksmiths https://carkeyssanantoniotx.com/need-know-san-antonio-car-key-locksmiths/ 4.1/5 based upon 15 reviews.